National DNA Day is April 25. 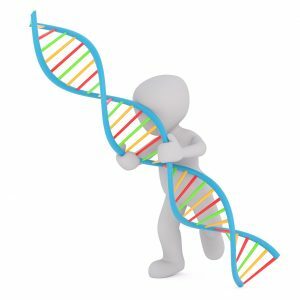 Genealogy and genetics have become intertwined over the years. Today, genealogists are as likely to use online genealogy resources as they are to order a DNA test in an effort to learn more about their family tree. Here are some interesting things to know about DNA. Rosalind Franklin was a scientist who earned her doctorate from Cambridge University in 1945. She spent three years in Paris at the Laboratoire Central des Services Chimiques de L’Etat, where she learned X-Ray diffraction techniques. Between 1951 and 1953, Rosalind Franklin came very close to solving the DNA structure. In 1951, James Watson attended a lecture by Rosalind Franklin about her work. She found that DNA can exist in two forms, depending on the relative humidity in the surrounding air. Franklin deduced that DNA was a helix. James Watson and Francis Crick expanded upon Rosalind Franklin’s work. In 1952, they created a model of DNA in a helix shape which was made up of interlocking pairs. DNA stands for deoxyribonucleic acid. The information stored in DNA is made up of four chemical bases: adenine (A), guanine (G), cytosine (C) and thymine (T). Adenine always pairs with thymine. Guanine always pairs with cytosine. A genome is all of a living thing’s material. It includes chromosomes, genes, and DNA. The word genome was coined in 1930, long before anyone knew what the genome was actually made of. Your DNA is 99.9% the same as the DNA of all other humans. Your DNA is 99% the same as chimpanzees. The complete human genome sequence was announced in June 2000. It is a “representative” genome sequence based on the DNA of just a few individuals. DNA is subject to mutations. The mutations we inherit from our parents are called germ-line mutations. Other mutations can happen during cell division or due to environmental factors (such as UV radiations, chemicals, or viruses). Few DNA mutations are bad for you. Some can actually be beneficial. 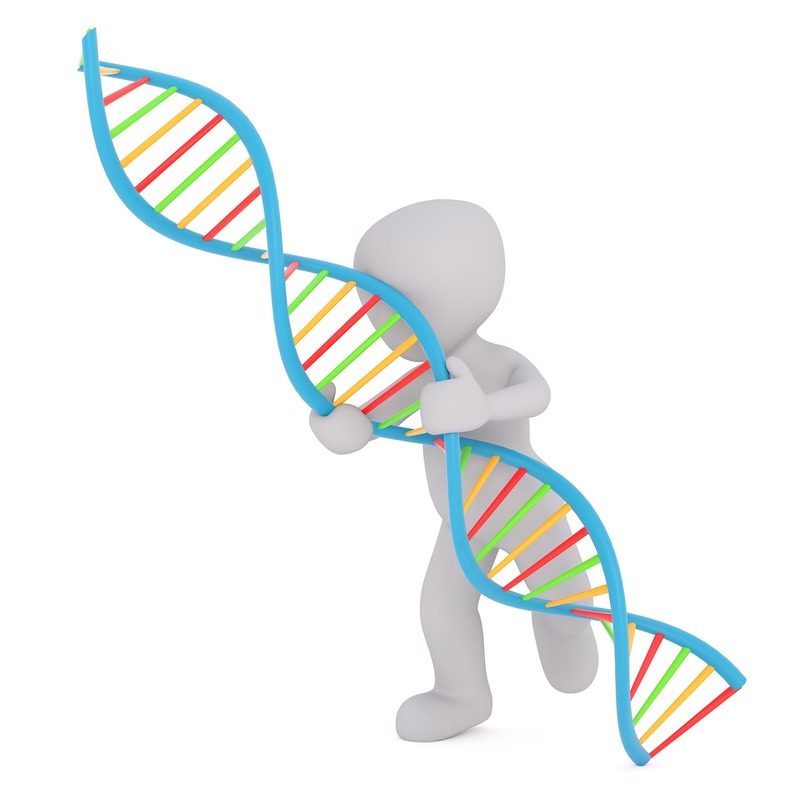 The mutations we hear the most about are the ones that result in inherited genetic disorders. A few examples include Tay-Sachs, phenylketonuria, and color-blindness. All of those result from the mutation of a single gene. Most genetic diseases are recessive. This means that a person must receive a specific mutated gene from both their father and their mother. A person with only one mutated gene that connects to a disease is a carrier. That person can pass the mutated gene to their children – but does not have any of the disease’s symptoms themselves. One example of a recessive genetic disease is Huntington’s disease.